Step aside, Burmese python — you may no longer be Florida's scariest invasive species. Researchers have confirmed that three Nile crocodiles were captured near Miami, and they say it's possible more of the man-eating reptiles are still out there, although no one can say for sure. The big question now: How did they get to Florida? "They didn't swim from Africa," University of Florida herpetologist Kenneth Krysko said. "But we really don't know how they got into the wild." Krysko and his co-authors just published a paper showing that DNA testing proved the three animals captured in 2009, 2011 and 2014 are Nile crocs, a species whose males grow to over 16 feet long and weigh upward of 1,600 pounds. Nile crocs are believed to be responsible for up to 200 fatalities annually in their native sub-Saharan Africa. Compare that with an annual average of six reported shark attack deaths globally. Krysko, who works at UF's Florida Museum of Natural History, said the captured crocodiles matched genetically, meaning they are related to one another, but didn't match Nile crocs kept at Disney's Animal Kingdom and other licensed Florida attractions. That means the crocs probably were brought to Florida illegally by an unlicensed reptile collector who either didn't contain them properly, allowing them to escape, or, more sinisterly, planted them in the Everglades in hopes they would multiply. The Nile croc, if it became established in the Everglades, would pose another invasive threat to its teetering ecosystem. Through crossbreeding, they could endanger the smaller, less aggressive American crocodiles, which have never been responsible for a confirmed human death in the U.S. About 1,000 American crocodiles live in South Florida, mostly in mangroves and estuaries. Any hybrids would degrade the genetic integrity of the endangered American variety. Nile crocs also are known to attack livestock, which would be bad news for cattle farms that border the Everglades. 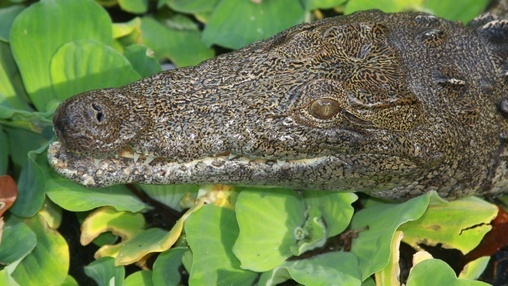 Krysko and two co-authors, independent wildlife biologist Joe Wasilewski and UF wildlife ecology professor Frank Mazzotti, think more Nile crocs lurk unfound in the Everglades, but they aren't certain. Allyson Gantt, a spokeswoman for Everglades National Park, where one of the reptiles was found, disagrees, saying no Nile crocs still roam the park. Some Everglades visitors might not be aware of the differences between crocodiles and alligators, complicating efforts to confirm any remaining crocs. Crocodiles have angular snouts, and their lower teeth are exposed when their mouths are closed. Alligator snouts are rounded, with few exposed lower teeth. Nile crocs are usually bronze or brownish yellow; alligators are blackish green. Wasilewsi said people are likely to notice the difference, or at least take photos that researchers can check later. And no, crocs and alligators can't interbreed. Florida already has more non-native amphibians and reptiles than any region worldwide, according to the UF paper, published April 30 in Herpetological Conservation and Biology. They include Burmese pythons, a menace that quickly reproduced into the thousands and is decimating the Everglades' small mammal population. Giant toads, iguanas and another species of crocodilian, the spectacled caiman, also live in the state. 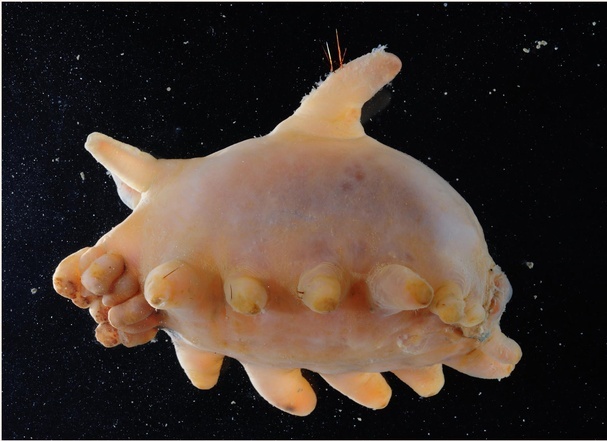 But that species grows to only about 80 pounds and feeds on fish, crustaceans and the occasional small mammals. All three Nile crocodiles were captured in extreme South Florida. — The first, a hatchling, was found on a front porch and sent to a Louisiana reptile exhibit. — The second, a female measuring 4 feet, was captured at a park. Wasilewski kept it, but later gave it to another licensed researcher. — The third was captured twice. The first trapper didn't have the proper permit, so he released the female. The croc was recaptured two years later 18 miles away by water in Everglades National Park. It was euthanized. The UF paper said all Florida wetlands and coastal areas of Alabama, Mississippi, Louisiana and Texas would be hospitable to Nile crocodiles. They require fresh water, abundant prey and year-round warm weather. "Doesn't that sound like Florida?" Krysko said. Fortunately, Nile crocodiles don't reproduce rapidly. Still, the researchers said, it might only take one adult male and female finding each other for an Everglades population to become established. "I have two words: Burmese python," Wasilewski said. "If you would have told me 15 years ago we would have an established population in the Everglades, I wouldn't have believed you."